Mark Oliveiro (b. 1983), a Sydney native and Doctoral graduate from the University of North Texas, is an emerging composer with a broad technical practice, and diverse extra-musical interests. Whilst notions of narrative, programme and theatre, have always been a stoic component of his music, Oliveiro offers an exploration of the quintessence of ritual inherent in all human expression. 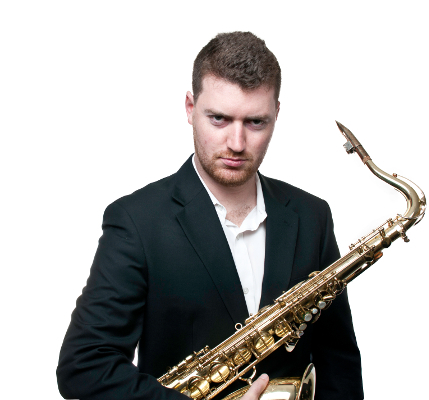 Andrew Smith is a Sydney based saxophonist who is at the forefront of classical saxophone in Australia. A highly active performer, Andrew can be frequently seen performing in chamber (Nexas Quartet) orchestral (Sydney Symphony) and solo settings. One of the hallmarks of Andrew’s musical endeavors has been his close collaborations with composers resulting in countless premiers of new works. Composers Andrew has worked with include Cyrus Meurant, Tristan Coelho, Paul Castles, Lachlan Skipworth, Mark Oliviero, Mark Bradshaw and Matthew Hindson. Notable festival performances have included Australian Festival of Chamber Music, Adelaide Cabaret Festival, Sydney Festival, Aurora Festival and World Saxophone Congress. Andrew can be found on a number of CDs including: “Ballads of a Pleasant Life” Nexas Quartet/Peter Coleman-Wright (ABC Classics) and “Current” (Nexas Quartet). Andrew has also recorded for a number of soundtracks including the recent HBO production ‘Top of the Lake: China Girl’ with music by Mark Bradshaw.